A few weeks ago, I had the chance to meet the team behind online asian designerwear store Strand of Silk. This store has been on my radar for some time, and now I've met the team and heard a little more about their offering, here are my picks for what you should look out for in their store! For under £50, Strand of Silk have a great range of ear cuffs - one of my top accessory trends for 2014. 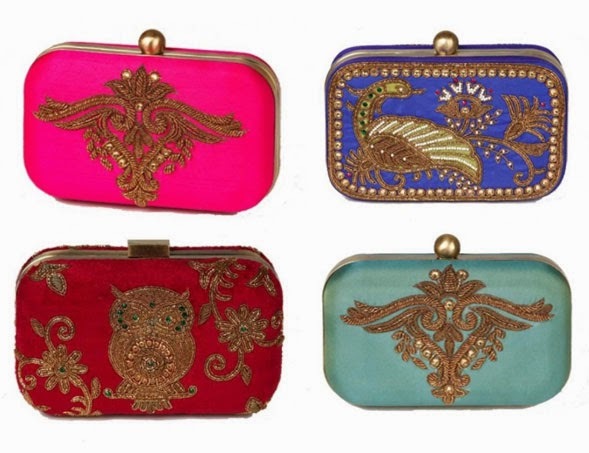 These are by designer Sanam Chopra and start from £35. Strand of Silk very kindly gifted me a pair of the middle ones in the pic - I'll be wearing them soon so look out for a future post on them and in the meantime check out my real gold earcuff earrings here! For something around the £250 mark, this textured silk mens linen kurta by Siddartha Tytler caught my eye! Look out for more from Siddartha Tytler later on in my picks for over £1,000! 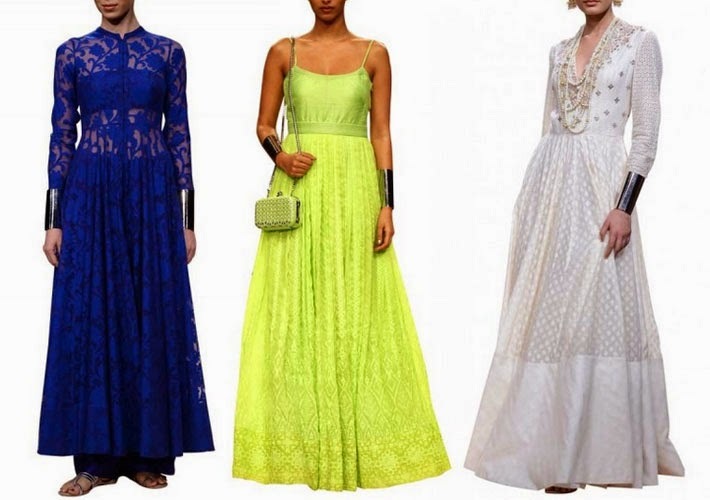 I love the vibrancy of the neon green, which you can get for £346, the blue net design dress can be yours for £295, and the cream jacquard gown is £475. 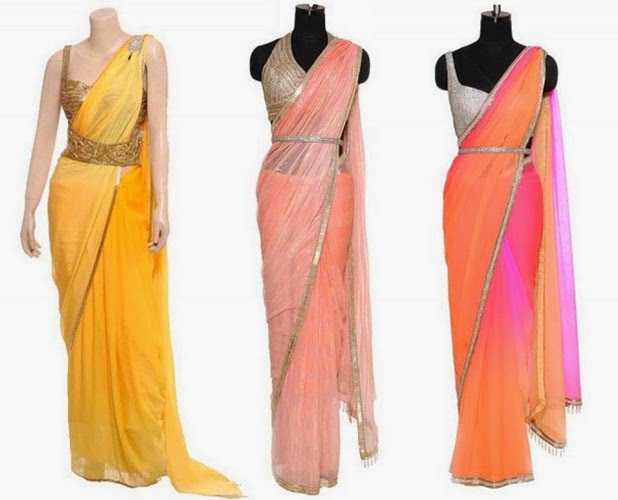 The yellow sari is £545, the coral sari is £630 and the pink and orange ombre sari is £880. You saw some of this designer's menswear in my "£250 and under" selection, and Siddartha Tytler makes my hot list again for over £1,000! These three outfits are part of the designer's Bridal Asia Collection, starting with the anarkali suit on the left for £1,670. 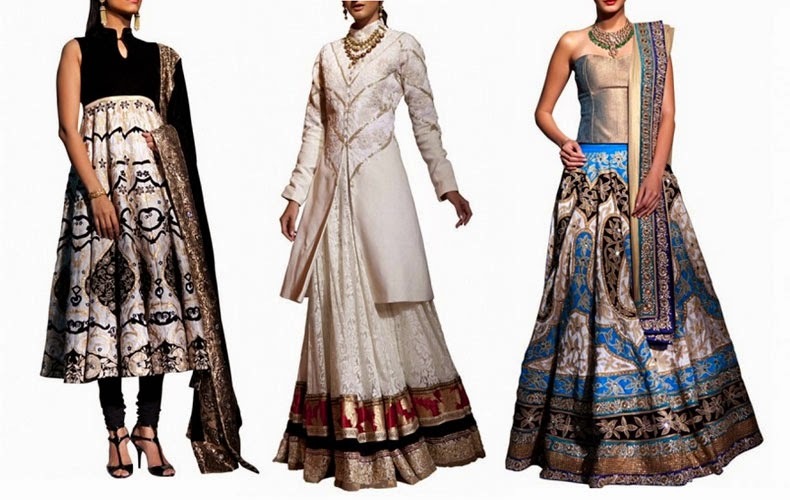 I love the middle outfit the most - the ivory jacket with a lehenga, it makes for such an elegant look and you could re-wear the jacket and skirt with other items in your wardrobe too, this outfit is £1,480. Finally the turquoise and navy bridal lehenga is £2,110.